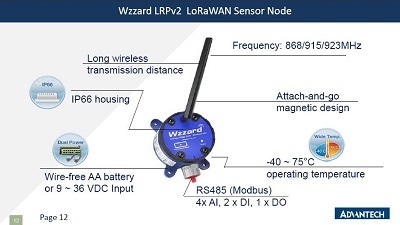 The WISE-6610 is a high-performance LoRaWAN gateway that offers reliable connectivity for industrial environments. It supports the LoRaWAN protocol for building LoRaWAN private and public networks, as well as various protocols including MQTT. The hardware and software flexibility of the WISE-6610 provides rich features for edge intelligence systems, and its support for VPN tunneling with various protocols ensures safe communications. The WISE-6610 also provides a network server that can phase the LoRaWAN data in our device. The WISE-6610 provides the redundancy-enhanced functions to prevent connection loss.